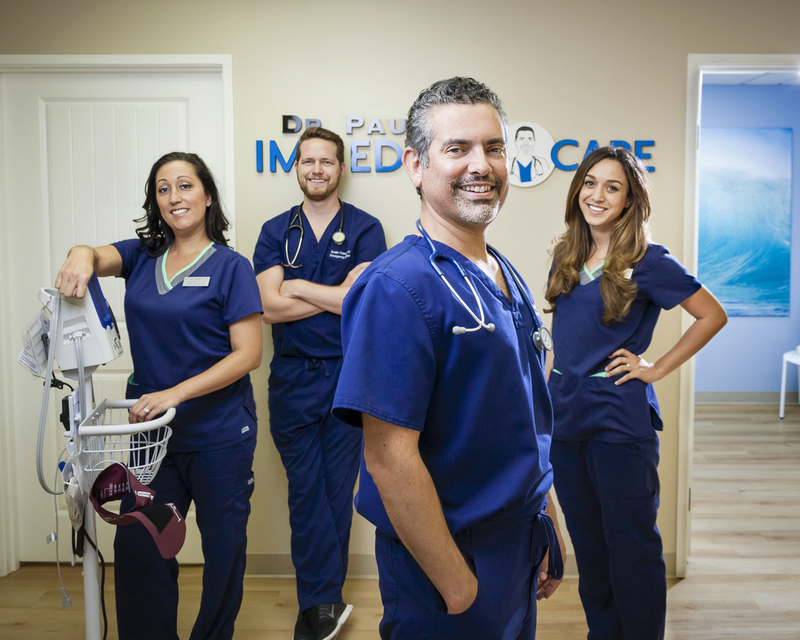 Why choose Dr. Paul's Immediate Care? Dr. Paul's Immediate Care is a Full Service, Walk-In, Medical Clinic open 7 Days A Week. Owner, Dr. Paul Knittel, is a twice board certified ER Physician who has built a medical office with ER experienced and ER trained medical staff. Dr. Paul's Immediate Care can handle all levels of injuries and illnesses outside of life threatening. All ages are welcome - from pediatrics to seniors, our training has prepared us to see them all. "It is a true pleasure to come here to Dr. Paul's Immediate Care! Everyone truly cares and makes you feel like family! I can't thank you enough today and always!" "I would fly from Miami, FL to see Dr. Paul again!" "Thank you! Awesome Care! Great staff! I'll be back with the family!" "Dr. Paul, thank you for making us feel so comfortable and like we have been coming here for years!"